These Mourning Doves have a nest somewhere in the vicinity. I hear them quite often in the backyard, and have seen them perching here and there. Haven’t pinpointed the location of the nest yet. 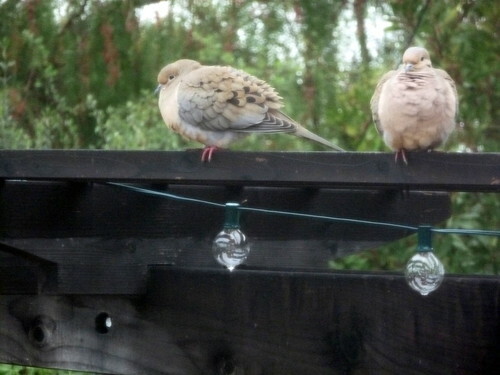 There’s a very light rain falling, and they have their feathers fluffed out to trap insulating air and shed the rain.